True, but it was moved to a high enough prio today so that we could work on it. Other than the change in the OpenGL context, it should be axactly the same as the original build, and work with your existing configuration. Please let me know if the build works, and if it is indeed faster. I finally upgraded my computer from my 2007 iMac to a 2017 iMac so I can't test this out for you. I nursed that 2007 along for a long time but it didn't like uploading sketches to arduinos (old usb drivers I guess), the cura performance issue, and then the kicker was Turbo Tax stopped supporting the newest Mac OS the 2007 could run. So finally bit the bullet and bought a new one. Cura 4.0 works great on the 2017! (obviously it is new enough so it supports OpenGL 3.0). Unfortunately not working on MacBook Pro (Retina, Mid 2012); Mojave 10.14.5 Beta (18F108f). Opening the application presents an error: "Ultimaker Cura” is damaged and can’t be opened. You should move it to the Trash." 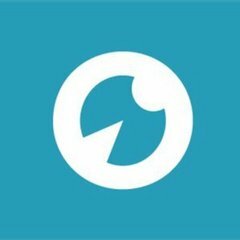 Issue with the signed code being modified. @ahoeben I just tried your build on my 2013 MacBook Pro running Mojave and it says the app is damaged and can't be opened. You should move it to the trash. Yes, sorry, apparently something went wrong “signing” the app bundle. I’ll post a new version today. I replaced the build. Could you test again? @ahoeben I tried the build. It works this time, however, performance is still awful. If I turn on legacy layer view it's super fast, but obviously limited. Is everything slow, or just the layer view? Is there any way you can force Cura to use the NVidia GPU instead of the Intel GPU? You have an interesting corner case. The Intel Iris Pro gpu in your Macbook PRO seems to not support OpenGL 4.1 (4.0 is the maximum it will do), but the NVidia GPU does. It gets very slow in the layer view. 4.0 is much faster using the UI, I'll give it that much. 3.6 was slow all over. Now the UI is mostly responsive even with a model loaded. But once it's sliced and you're previewing it in the layer view it starts to chug. The UI gets slow as well. Once you've changed a setting and the layer view disappears it's faster again. It's definitely using the Nvidia GPU. 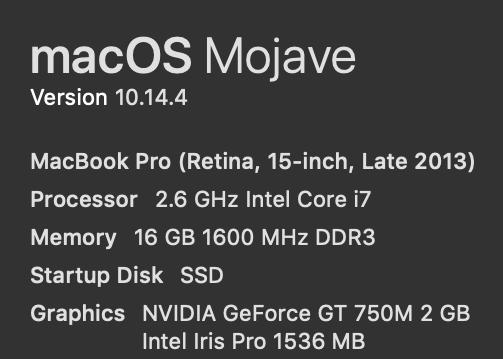 Sadly Apple isn't allowing nvidia to release any web drivers for Mojave, so it's stuck with whatever Apple has bundled. All part of planned obsolescence. It gets very slow in the layer view. 4.0 is much faster using the UI, I'll give it that much. Sorry, this is getting confusing. Is the performance of my build any different for you than the performance of the official 4.0 build? Sorry for the confusion. In a word, no. Performance in your build and the official 4.0 is the same. Is there anything else I can test or information I can provide? I would love to have the level of performance from the legacy view with the detail of the proper layer view. @phaedrux, thanks for testing. The fix I made is specifically for Macs where everything is excruciatingly slow, because everything ends up being drawn by the processor instead of by the GPU. For them, the workaround with the "Force compatibility mode" checkbox in the general preferences only improved things a tiny bit. 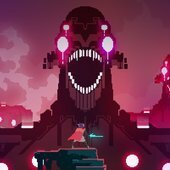 My fix forces "compatibility mode" on those computers, not just for layer view but for everything. Your case is why the compatibility mode checkbox is there; apparently your GPU supports the required functionality, but it is just slow when doing it. So you can manually opt for either slow or limited. Fixing that is outside the scope of this particular fix. @ahoeben, thanks for the test build. I run a 2018 MacBook Pro 13" and your test build feels more fluid in layer view on my machine. Especially when I have many travel paths in the model and display them. But I can't tell yet if the overall UI performance is better, I have to do further tests. Just doing some more back to back testing between your build and the officialt build and I think the GUI responsiveness is a bit better with yours when a sliced model is being previewed. Good - since of course Cura should be tested and run on the second and third newest Mac OS version too. Fancy graphical features on the layer preview cannot be more important than working reliably on more than the newest MacOS version. Since a lot of software manufactures have issues on different platform versions, you cannot ask customers to upgrade and only use the latest version of an OS. I suppose you don't only support the very newest build of Windows 10 either.